One of the contested races to be decided by the September 4, 2018, state primary will be for the Democratic nominee for the First Middlesex State Senate seat. That office has been vacant since Eileen Donoghue resigned the seat after being elected Lowell’s city manager. 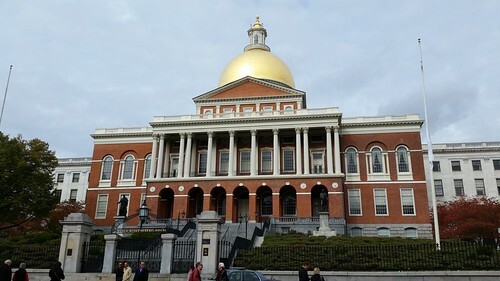 The First Middlesex Senate District consists of the city of Lowell and the towns of Dunstable, Groton, Pepperell, Tyngsborough and Westford. In the November 6, 2018, state election, the winner of the Democratic primary will face John A. MacDonald of Lowell who is unopposed in the Republican primary. This coming Thursday, August 16, 2018, UMass Lowell and the Lowell Sun will sponsor a debate for the Democratic candidates for State Senate from 6 pm to 7 pm at University Crossing, 220 Pawtucket Street, Lowell. That debate will be immediately followed by a debate for the Democratic candidates for the 18th Middlesex State Representative seat. (Facebook event link). 2016: Eileen Donoghue was unopposed in the primary and the general election. 2014: Eileen Donoghue was unopposed in the primary and the general election. 2012: Eileen Donoghue defeated James Buba, 40,752 to 15,125. 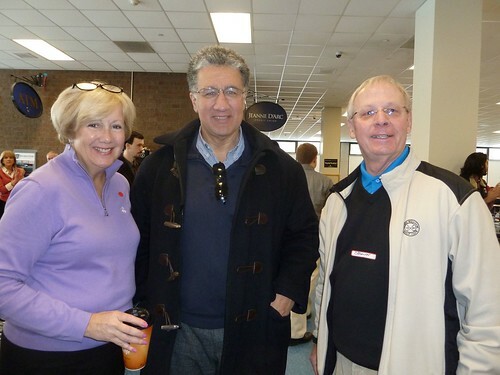 Eileen Donoghue, Steve Panagiotakos and Phil Shea in 2014. 2010: Steve Panagiotakos announced he would not seek reelection. In the Democratic Primary, Eileen Donoghue defeated Chris Doherty, 6,339 to 3,949. In the general election, Donoghue faced Republican James Buba and Unenrolled candidate Patrick O’Connor. Donoghue won with 25,549 to Buba’s 16,335 and O’Connor’s 4,158. 2008: Steve Panagiotakos was unopposed in the primary and the general election. 2004: Steve Panagiotakos was unopposed in the primary and defeated Republican Brooks Lyman in the general election, 43,080 to 13,737. 2002: Steve Panagiotakos was unopposed in the primary and defeated Republican Brooks Lyman in the general election, 30,328 to 11,727. 2000: Steve Panagiotakos was unopposed in the primary and defeated Libertarian Peter Schoaff, 42,193 to 7,782. 1998: Steve Panagiotakos was unopposed in the primary and the general election. 1996: Incumbent Dan Leahy did not run for reelection. In the Democratic primary, Steve Panagiotakos defeated Matt Donahue, 8,836 to 4,043. In the general election, Panagiotakos defeated Republican Ken Dwyer, 35,909 to 12, 049. 1994: Incumbent Dan Leahy was unopposed in the primary and defeated Republican Michael Conway in the general election, 22,252 to 17,842. 1992: The First Middlesex State Senate seat was up for grabs after Republican incumbent Nancy Achin Sullivan announced that she would not seek reelection. Lowell’s Dan Leahy prevailed in a four candidate field, receiving 9612 votes to former State Senator Phil Shea’s 6401, Frank Gorman’s 4900 and Buddy Flynn’s 2430. In the general election, Leahy defeated Republican Mary Burns, 35,932 to 22,726. This was the last election that had Dracut as part of the First Middlesex District which consisted of Dracut, Dunstable, Groton, Lowell, Pepperell, Shirley and Tyngsborough. 1990: Republican Nancy Achin Sullivan defeated Democratic incumbent Paul Sheehy, 27,785 to 23, 208. 1988: Incumbent Paul Sheehy was unopposed in the primary and the general election. 1986: Incumbent Paul Sheehy was unopposed in the primary and the general election. 1984: Incumbent Phil Shea ran for Congress. In the Democratic Primary, Paul Sheehy defeated Gary Sullivan of Dracut and George Anthes of Lowell. Sheehy received 13,895 votes to Sullivan’s 9,295 and Anthes’s 3,873. In the general election, Sheehy defeated Republican Wayne Peters, 36,085 to 22,511. 1982: Incumbent Phil Shea was unopposed in the primary and the general election. 1980: Incumbent Phil Shea was unopposed in the primary and defeated Republican James Loughran of Lowell in the general election, 40,288 to 16,102. (Loughran had been selected by a caucus of the Republicans in the district to replace Republican primary nominee Nolia Boulanger who withdrew prior to the election). 1979: A special election was held in the fall of 1979 to fill the state senate seat after ten-year incumbent Joe Tully resigned upon being elected Lowell City Manager. Democrat Phil Shea was the only candidate in the primary and in the general election. Wednesday, August 15, 2018 from 5:30 pm to 7 pm at UTEC Catalyst Center, 17 Warren Street, Lowell. A youth-led candidate forum hosted by UTEC. (Link to Facebook event). The Eagle Tribune reports that the Haverhill city council voted 8 to 1 to make that city the 81st municipality in the Commonwealth to enact a ban on single-use plastic bags. This Monday, August 13, 2018, from 6 pm to 8 pm at the Lowell Senior Center, 276 Broadway St in Lowell, the Lowell Department of Planning and Development will host its third public meeting on the formulation of the city’s Open Space and Recreation Plan. Everyone is invited to attend. Residents are also invited to complete DPD’s online survey on open space and recreation in the city. 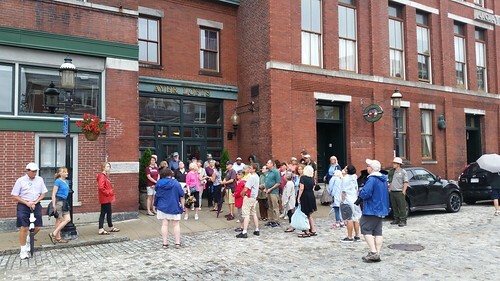 Thanks to Liz Stewart of COOL for leading yesterday’s Lowell Walk on downtown art galleries. The walk visited The Brush Art Gallery and Studios, the Arts League of Lowell, the Whistler House, the New England Quilt Museum, Ayer Lofts Art Gallery, UnchARTed, Gallery Z, and others. September 1, 2018 – Lowell in World War One with Richard Howe. For those looking ahead, the Lowell Cemetery tours this fall will be Friday, September 28, 2018 at 1pm and Saturday, September 29, 2018 at 10am. Both tours will begin at the Knapp Avenue entrance to the cemetery. This week I was interviewed about the Registry of Deeds and my reelection campaign by Steve Brogan of Tyngsborough cable TV. Here’s a link to the 30-minute interview. Please watch and share with your friends and followers on social media. 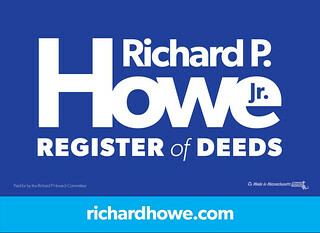 You can also help by displaying a lawn sign in your yard or by making a contribution to the campaign. Donations in any amount are welcome.